Pretty Happy is a collection of over 100+ bright and colorful stickers designed for iMessage by artist Jenean Morrison. 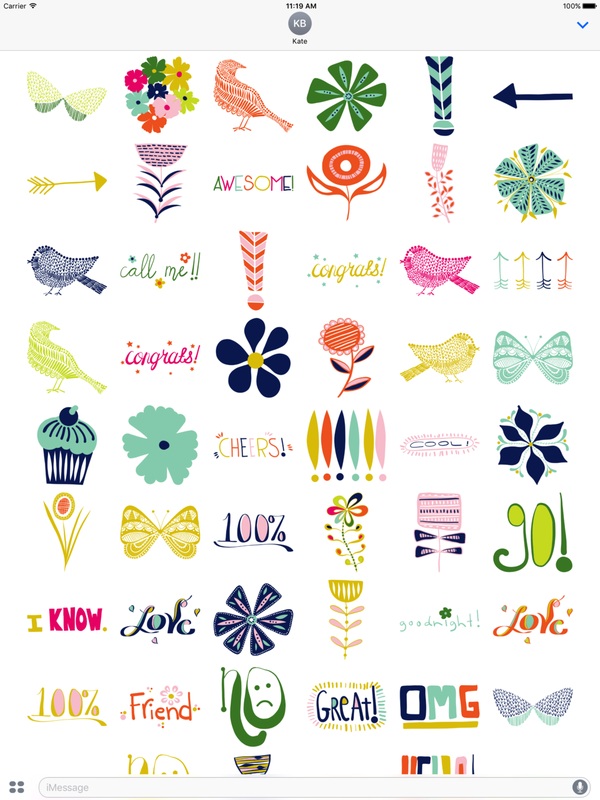 This collections features fun and happy hand-drawn stickers for to brighten up all of your daily conversations! Tap to send stickers in a thread or place stickers on top of message bubbles, photos and other stickers! 2. Tap the gray > button to the left of your message field. 3. Tap the "App" button (it looks like an A), then tap the four gray circles on the bottom left to open your app drawer. 4. Tap the Pretty Happy Stickers logo to open the stickers. 5. Send to friends and enjoy!